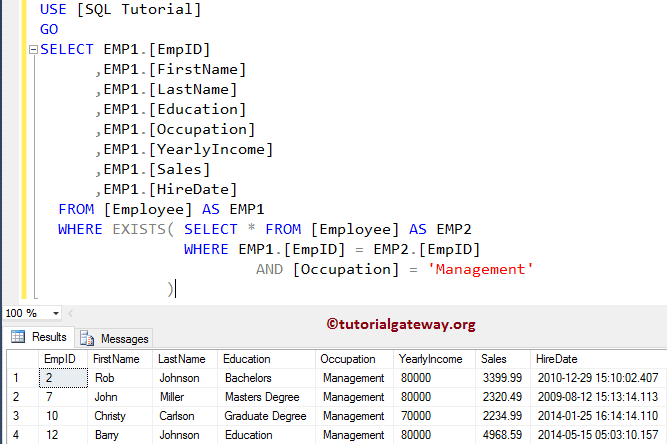 The SQL Exists Operator is used to restrict the number of rows returned by the SELECT Statement. 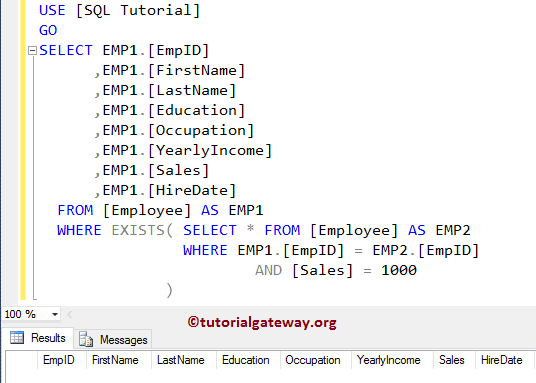 The EXISTS Operator in SQL check the Subquery for rows existence, and if there are any then it will return TRUE otherwise FALSE. 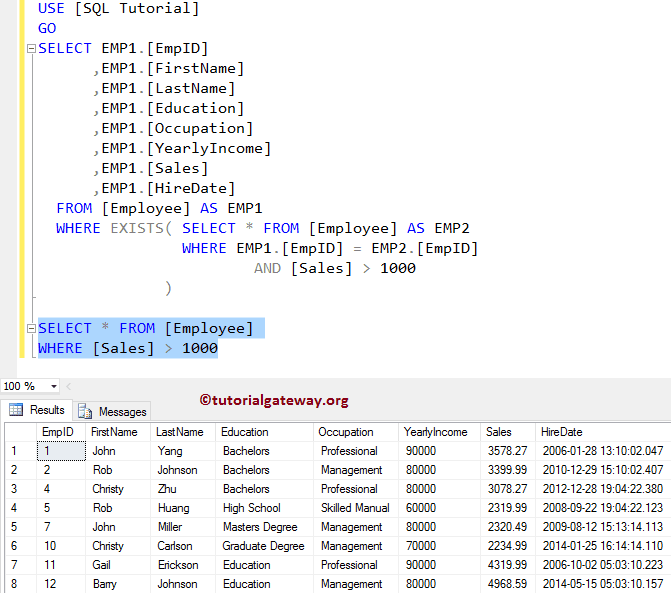 TIP: Before get into this Sql Server Exists operator example, I suggest you to refer the SQL Subquery article to understand the sub query designing, and query parsing. 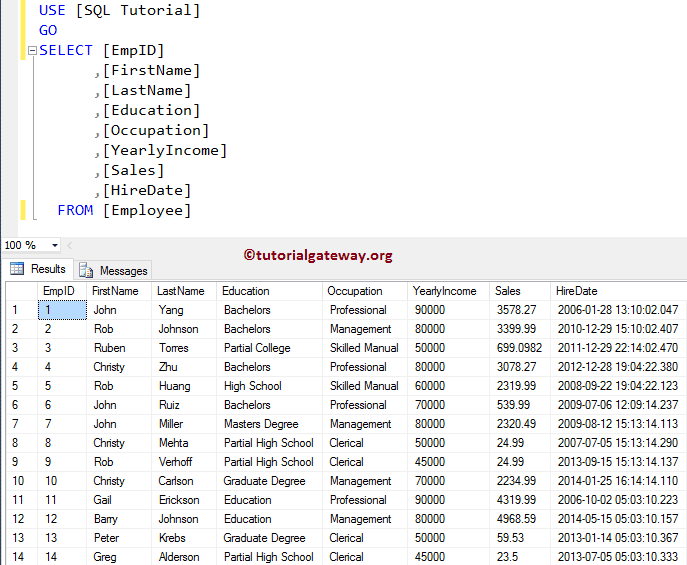 Subquery: Here we have to provide the Subquery. 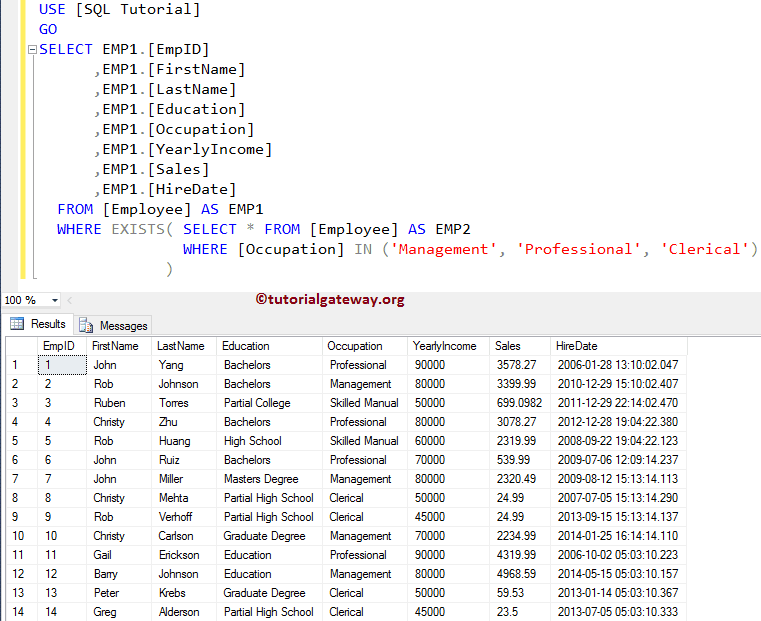 If the sub query returns true then it will return the records otherwise, it doesn’t return any records. 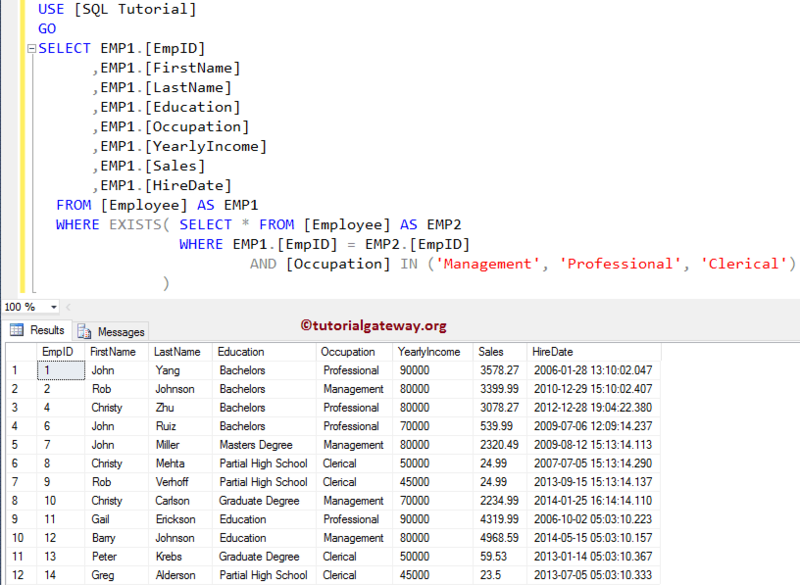 As you can see that the query is returning Empty records, because the sub query is returning false. 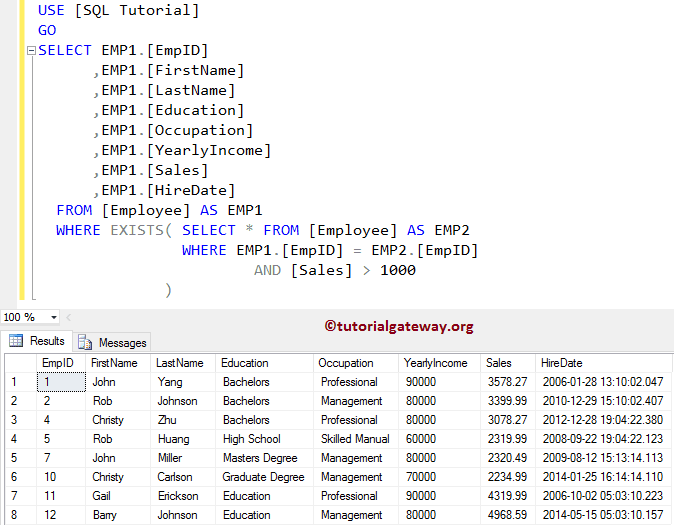 Let us show you one more example for better understanding.